Forget the tinsel this yuletide and try a few of these simple and stylish ideas to get into the festive spirit and leave more time for merriment. 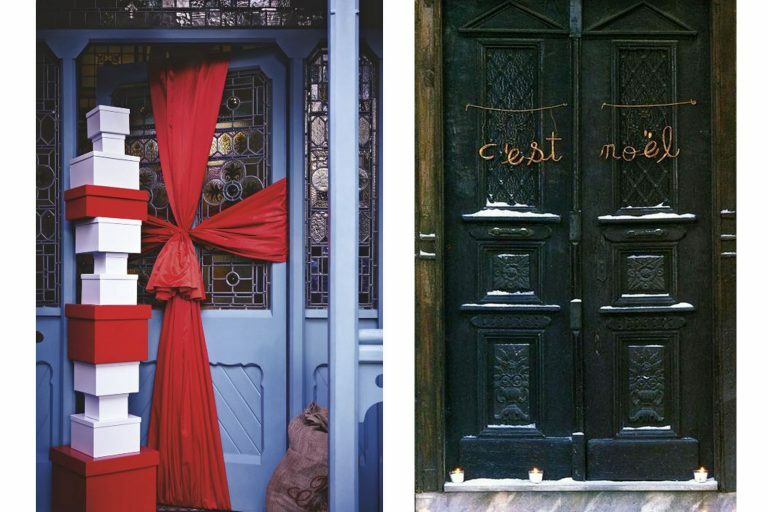 Why not go all out and make a big impact by wrapping up your door. It is simple to do and perfect for the minimalists out there who don't want to try too hard while decorating. This will give such a dramatic look with minimum fuss or effort. Now your entire home is one giant present! Photo credit: Etsy, Living etc. 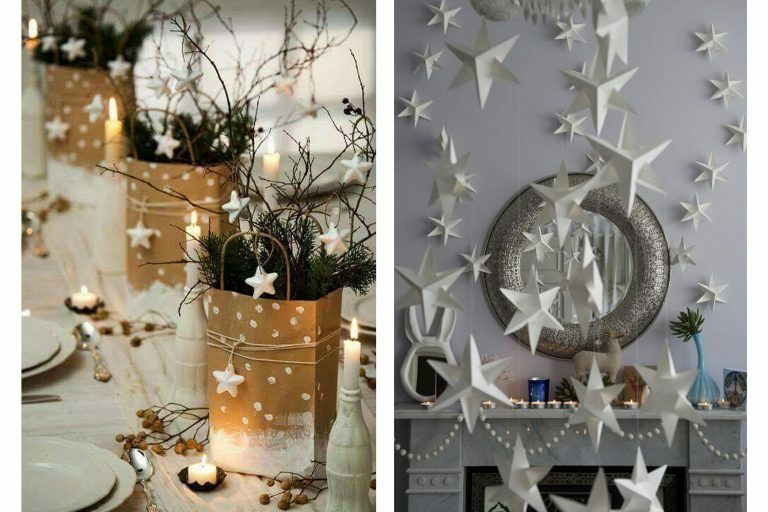 Go crazy decorating with stars, the more the merrier. 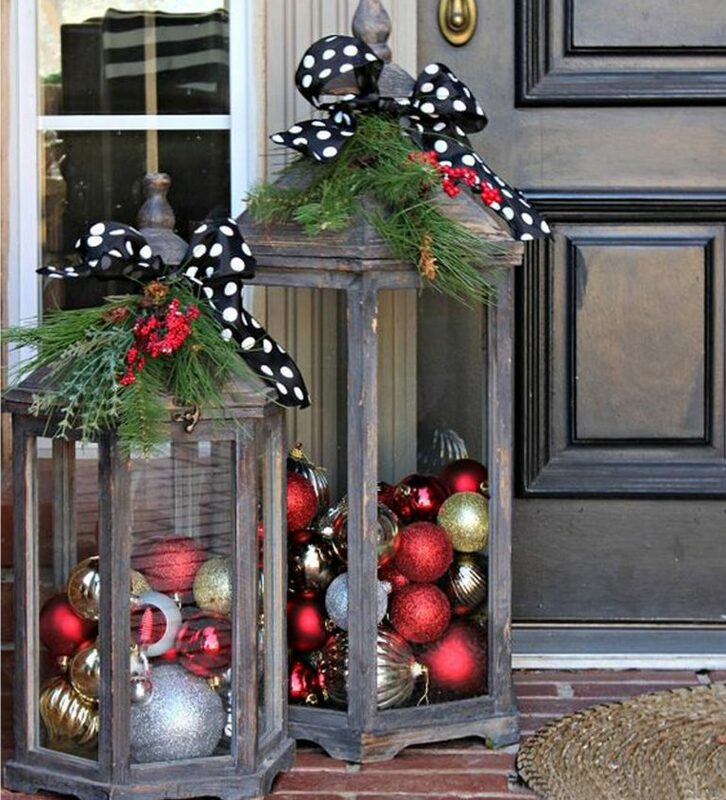 Use stars as the main motif for your Christmas décor. They look so festive and are extremely versatile. Use as tree decorations, table centerpieces or just hang them from the ceiling. You could try playing around with different sizes to see what works best to make the maximum statement. GET CREATIVE WITH WHAT YOU HAVE! If you already own some hurricane lanterns and Christmas baubles, then you are all set! Shiny baubles of different sizes, colours and textures will look great in glass hurricane lanterns or even glass jars. Showcase your own individual style by adding some evergreen foliage, berries, ribbons or anything else you think will work for you. Why not try something completely different with the tree itself this year. 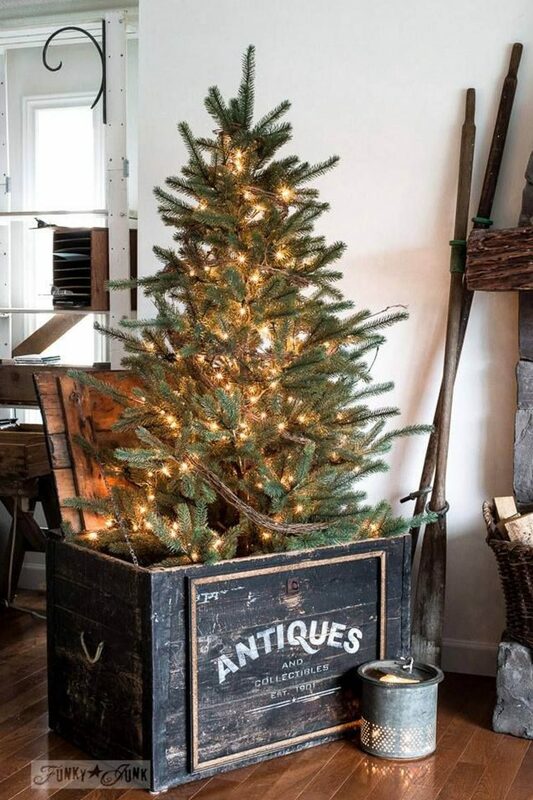 A beautiful antique box or chest is the perfect place to put your tree. Yes, put the whole tree in the box! It not only gives a very unique look to your décor, it will help to catch all those pesky pine needles too. This classic style is great for Christmas and will never go out of fashion. For the Christmas table pair crisp white linen and fine china tableware like the Eskander collection from Good Earth; a luxurious fine bone china set with platinum edges and filigree, decorated with Birds of Paradise and Pomegranates. 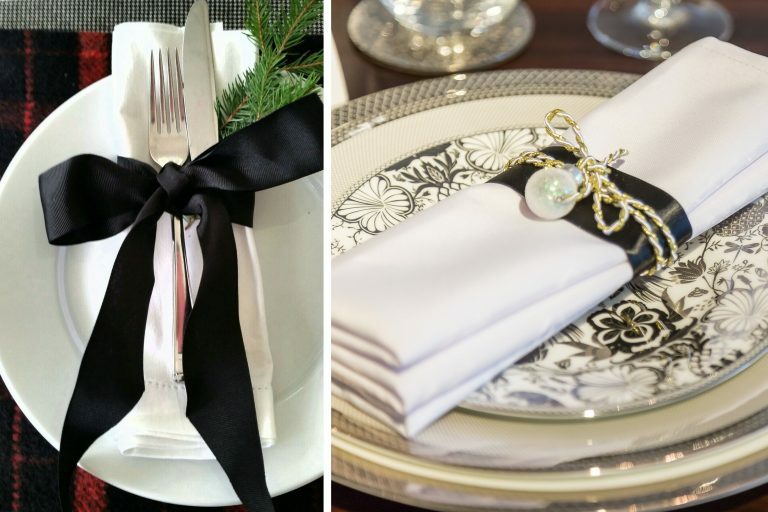 Add a black ribbon and sparkling silver accents and you have a classic, classy look.